Join the team at Directions and be part of something special. We offer a wide range of benefits to both full- and part-time employees. 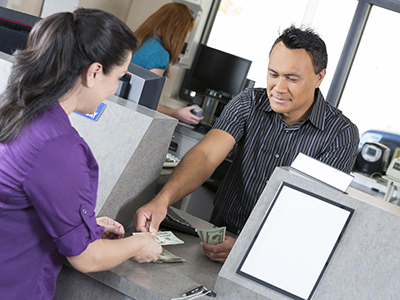 Working at Directions Credit Union isn’t just a job; it’s a way of life. We are always looking for professional, adaptable, and motivated team players. If you have a commitment to helping credit union members, like solving problems, and like being part of something bigger than yourself, we want to hear from you. View our open positions and apply today. As Directions Credit Union grows, so does our need for smart, talented people. See a current list of our open positions and review the qualifications. If you think you’d be a good fit, we’d love to hear from you. Directions Credit Union values our employees and recognizes the importance of individual contributions and teamwork. We provide the leadership, resources and environment to attract and retain individuals who contribute effectively to members’ confidence in the credit union. We proudly offer a comprehensive benefit package to all full- and part-time employees. Our benefit package for full-time employees includes health, life and long-term disability insurance, and an optional dental and vision program. Eligibility for these benefits begins on the first of the month following 30 days after the employee’s date of hire. Paid holidays and paid time off (PTO).